We all feel anxious from time to time. If you experience these feelings on a regular basis, however, you may be among the 18.1% of adults who have anxiety. If you think you might have anxiety, you should talk to your doctor about it as soon as possible. Whether your anxiety is severe enough to be diagnosed, or whether you simply have anxious feelings from time to time, there are some simple steps you can take to lower your anxiety. In addition to consulting your doctor, you can incorporate some or all of these easy tips. A life with decreased anxiety is a better life, so consider starting a few strategies this week! There are quite a few natural ways to decrease anxiety (although some work better than others.) Many people have found CBD oil to reduce anxiety. CBD is a substance taken from the cannabis plant, the same plant marijuana comes from. CBD, unlike marijuana, doesn’t have an psychoactive properties, but it can play a role in decreasing someone’s anxiety. Plus, CBD has little to no side effects. If you’re interested in testing CBD, CBD Fix is a great place to get started for CBD oils and pills. If money makes you anxious, you might consider keeping better track of your financial life. If you don’t already budget, keeping track of where your money goes each month, and maintaining a set threshold for groceries and other expenses, you may want to consider doing so. If you’re in debt, your financial stress is probably even worse. Consult an accountant and look at getting your financial situation straightened out. Knowing how to get out of debt can help you find peace of mind, and coming up with a solid plan for paying every bill, every month, will help wash away a lot of your financial worries. Your anxiety is probably being caused by a serious life-stress, such as the death of a family member or work stress. 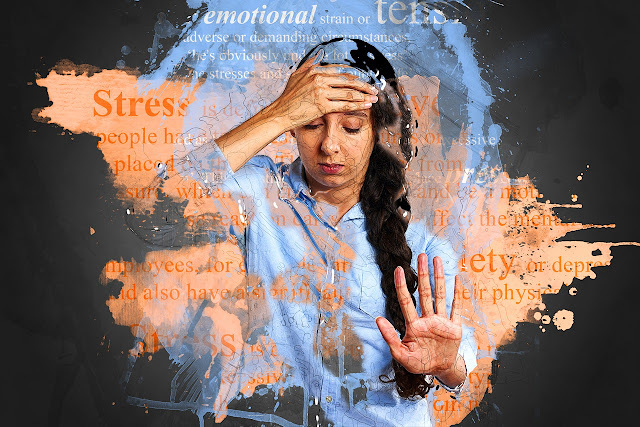 While there are many potential causes for anxiety, these serious life issues are difficult for anyone to face, and anxiety is normal at these times. Instead of living with your anxiety, try to get to the root cause. Consult a therapist or counselor and identify the heart of your struggles with anxiety. Journal regularly, talk out your feelings, and embrace your emotions as they come. This kind of getting in touch with yourself can help lower your anxiety, since your feelings won’t be as pent up or unfamiliar. Anxiety doesn’t get the last say in your life, so if you struggle with anxious thoughts or feelings, start tackling the problem, a little at a time. Whether you choose a means of soothing your anxiety, like CBD oil; a means of dealing with the problem itself, like carefully budgeting; or dealing with the deeper emotions behind the issues, by seeing a therapist, an easy answer your anxiety awaits.